We met Nordine on a sunny Wednesday morning. 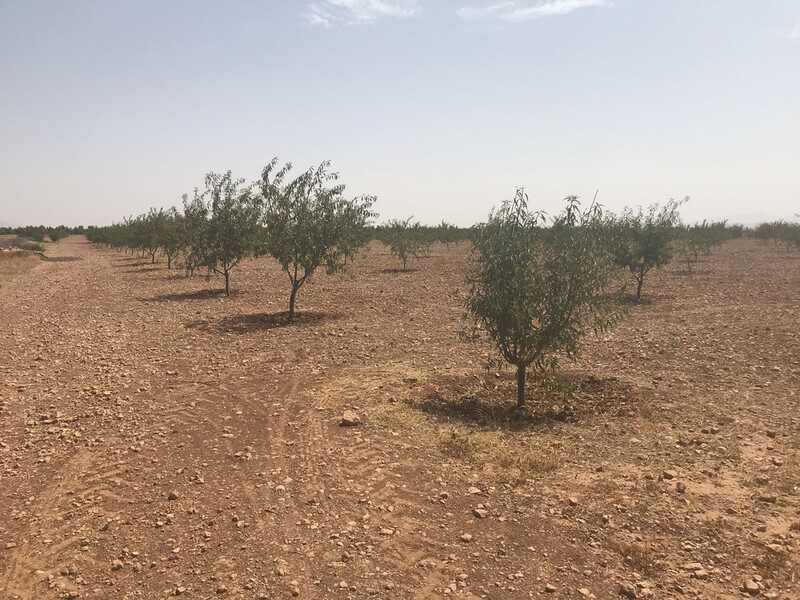 His tan skin revealed how he spends many hours outside planting as well as tending to the already planted almond trees throughout Irzaine in the Berkane province, Oujda region. He proudly walked us through one of the fields with growing trees while explaining how time is still needed for these almonds to be ready for sale. Witnessing Nordine’s passion for his work in Irzaine, you would never guess that he once had extravagant plans to leave Morocco behind and travel and work abroad. But he did, and he happily rejected those big plans to, instead, give back to the community in which he grew up. Nordine explained: while studying at university in Rabat, he was inspired by a combination of his experiences at school, a friend, and his passion for helping others; he joined a student association involved in development work and was a member for five years. Instead of moving abroad after graduation as originally planned, Nordine returned to Irzaine and created his first development work association; he later created a second association in Irzaine focused on providing clean water; and Nordine’s latest project is an almond production and valorization cooperative, which he established in 2014. Creating and managing a cooperative is not an easy task. Unlike associations, which Nordine has had much experience with, cooperatives are intended to be lucrative entities and require capital to support themselves. Nordine recognized that he needed a little guidance. He attended a training facilitated by the High Atlas Foundation (HAF) that builds participants’ awareness of the vital components of building and leading a cooperative. This highly important training, funded by the Middle East Partnership Initiative (MEPI), teaches participants the differences between cooperatives and associations, and many different cooperative-building topics such as legal aspects, accounting, management, marketing, and communications. Nordine found the training so helpful that he attended four more. He enthusiastically explained how HAF “opened up the world of marketing” and taught him how to not only find a market for his product but also how to sell it. He reported gaining skills to record and organize files as well as to problem solve, stating, “I was proud of myself because when problems occurred, I found that I knew solutions because I got it from HAF trainings.” Nordine identified both the accounting and proposal writing and submission components of the HAF training as the most helpful. Last year, his cooperative created their first detailed financial and annual report. The cooperative reported that since 2014, a total of 124,800 almond trees have been planted across 600 hectares of land, at a ratio of 208 trees per hectare. Some planting is financed by Morocco’s Ministry of Agriculture, some financed by donors, and planting on 400 of the 600 hectares was financed by a Belgian government agency. It takes five years for the trees to produce almonds, so with 2019 approaching, Nordine is preparing to start selling within the upcoming year. He is eager to use the marketing skills he acquired through the trainings. In addition, it was reported that the cooperative supports 342 beneficiaries in Irzaine. Its establishment has created jobs and not only strengthened the community’s economy but also its identity. Nordine has found that the cooperative has had the power to persuade local people to stay in the village. Like Nordine did years ago, many community members are rejecting the once-popular idea to leave their small village and, instead, are choosing to stay and preserve their land. In this way, Nordine explained how the cooperative has changed the idea of migration. Rather than small-town people moving to big cities in search of opportunity, Irzaine is now attracting many people from Oujda City and surrounding larger towns with work opportunities. 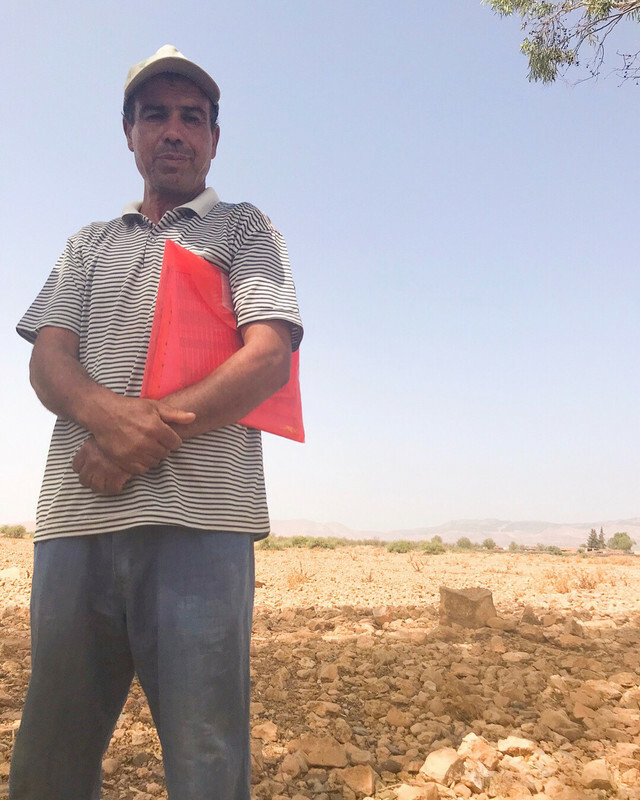 After all, the cooperative needs the support of willing workers—Nordine looks forward to planting almond trees on the remaining 1,000 hectares of available land. These additional consequential benefits of his cooperative are meaningful to Nordine as its creation came from his passion for development work and to help people. Nordine aims to support his community to the best of his ability and, through this initiative, has found many ways in which to do so. For example, he provides almond trees to people who own less than five hectares of land so that they can plant the trees on their land and reap the economic benefits. He also teaches them about cooperatives by sharing the knowledge he acquired through HAF’s trainings, and offers them to become a member of his cooperative. Nordine finds cooperative-building so fulfilling and beneficial in both the short- and long-term that he is already planning his next endeavor. Noticing a need for women involvement in the community, he is interested in helping establish a women’s cooperative in Irzaine. Nordine also recognizes, however, that there is a serious need for literacy courses—for which he has already found 18 interested women. It is clear that Nordine’s generosity and passion for development work started long before he returned to Irzaine after university. It was a pleasure spending our morning with him and learning about his work. We at HAF are grateful to MEPI for paving the way to provide us the opportunity to have played a role in assisting Nordine—and others like him—make his goals a reality by providing the necessary tools and resources to establish successful cooperatives and projects; we are grateful to find that the knowledge we share at the trainings we facilitate is being passed on through participants to others, such as in the case of Nordine and his plans to train women in Irzaine to start their own cooperative.